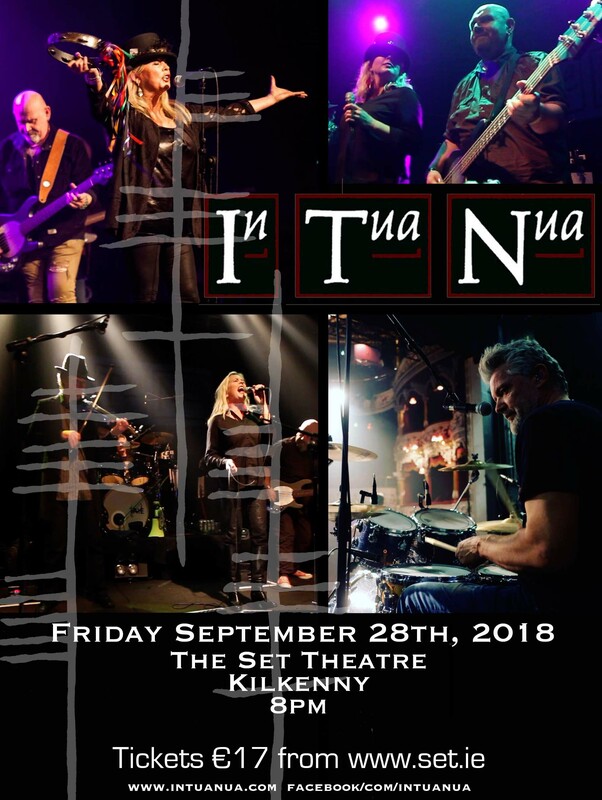 We are thrilled to announce that we are back at The Olympia Theatre again for another big charity show, this time in aid of AWARE. 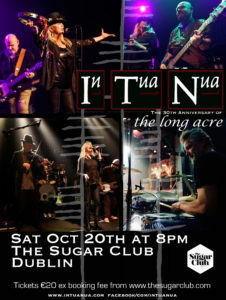 This will be our fourth big charity night in five years celebrating Irish music through the decades. 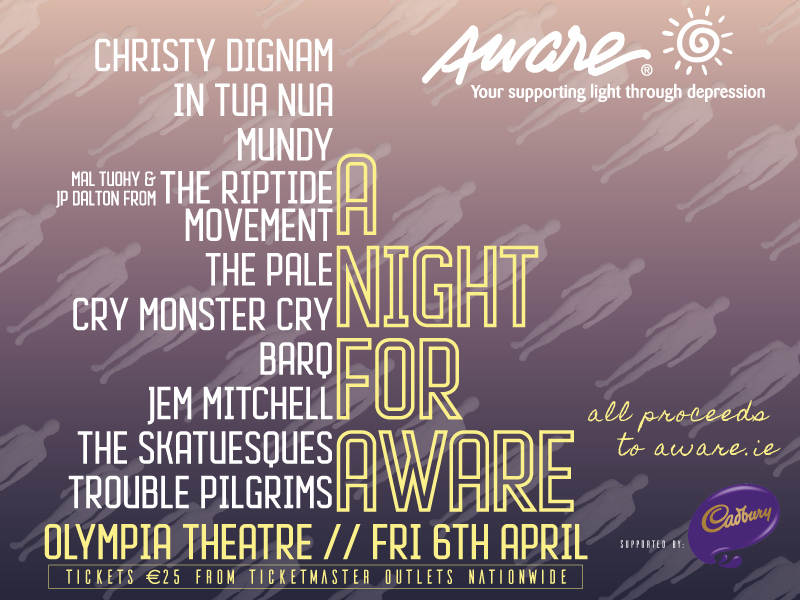 ‘A Night for Aware’ will feature ten music acts including Christy Dignam, Mal Tuohy & JP Dalton (The Riptide Movement), Mundy, The Pale, Cry Monster Cry, BARQ, Trouble Pilgrims, Gem Mitchell, The Skatuesques and of course ourselves. 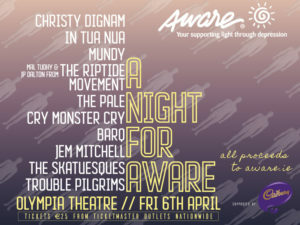 Fri 6 April @ 7.30 in the Olympia Theatre. 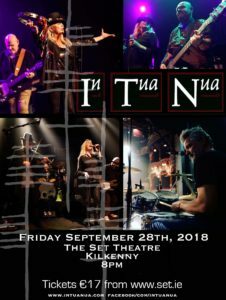 All proceeds from the night will go to Aware and help fund their free of charge education and support services for people affected by depression. Check out our singing drummer Paul Byrne’s new single ‘I’ve Got You’ available on iTunes and all good download stores. The In Tua Nua albums ‘Vaudeville’ and ‘The Long Acre’ are finally available on iTunes… with bonus tracks too!!! We had a great time in Stradbally Hall playing at Electric Picnic. Check out our acoustic session backstage on 2FM. In the old days we needed a fan club to keep in touch with everyone, now we have the web and we intend to use it!